2017 Fall For Local Market? The annual Fall For Local Market is kicking off on September 9 + 10, 2017 from 11AM to 5PM in North Vancouver at The Pipe Shop Venue (115 Victory Ship Way), and we couldn't be more excited. We're giving you two-full days packed with awesome independent brands, free canvas tote bags filled with local product for the first 50 guests on both days, free Barber & Co. Beard Bar, free yoga, free DIY station, photo wall and more! The 2017 Fall For Local Market is held at The Pipe Shop Venue (115 Victory Ship Way, North Vancouver). 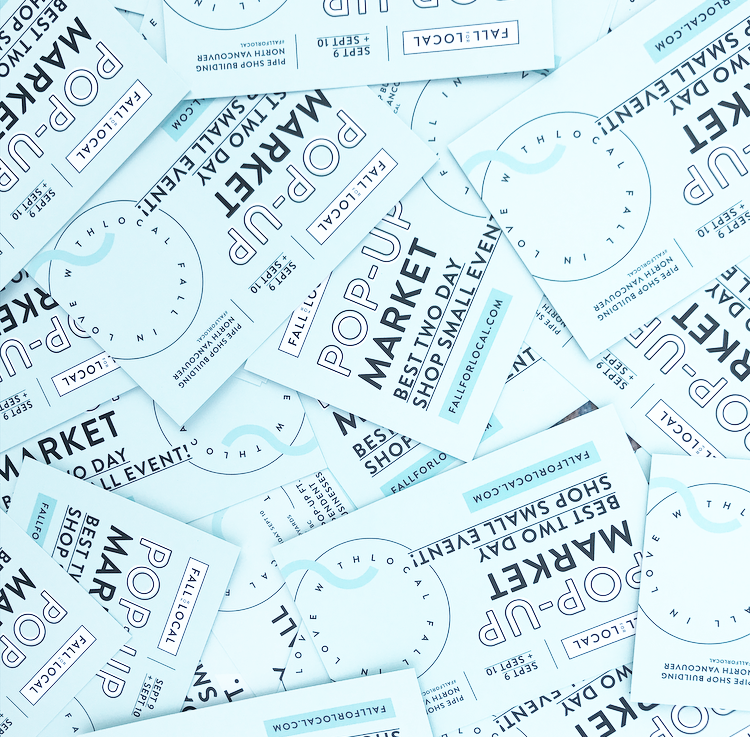 There's 2 hours FREE parking at the Lonsdale Quay Market parkade (123 Carrie Cates Court, North Vancouver). There is also FREE weekend parking at the ICBC parkade (151 West Esplanade, North Vancouver). We encourage you to ride your bike, or take public transit. Take the Sea Bus from Vancouver to Fall For Local. It's a 5 mins walk from the Sea Bus Terminal and Bus Loop. Save $2.00 and grab your ticket online here OR pay $5 at the door (sorry cash only). Kids 12 and under get in FREE! + FREE Men's grooming by Barber & Co.
We have a great line-up of vendors waiting for you! Including a handful of new ones too! See the full line-up here! Save $2.00 + buy your tickets online! Missed last years event? Check out our gallery here, or visit us on Instagram here.